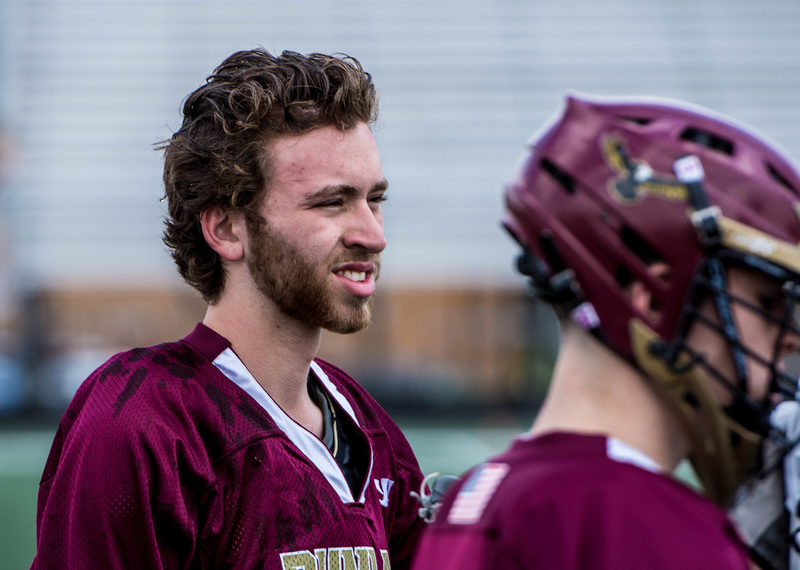 This Spring, the Dunlap Eagles High School Lacrosse Club will be entering our 6th season. Last year, the Eagles participated in our 1st season of IHSLA play with both a JV and Varsity team and strongly competed going deep into the Varsity playoffs. We look forward to building on that success in our 2017 season and prepared for the IHSA in 2018! The Dunlap Lacrosse Club will run indoor optional practices starting after Thanksgiving break. This is a co-op program between Dunlap and Richwoods High School. Players must be enrolled in one of these schools to participate. Mandatory practices will start on Monday, February 27th, or upon completion of players' respective IHSA winter sports. Exceptions apply to those who are still playing non-IHSA sports (eg. hockey). We plan to have a JV and a Varsity squad. Placement on squads is determined by player skills and level of experience. We do not select the team based off of age/grade levels. Nor, do we conduct tryouts or have cuts. Depending on the amount of players, some JV players may dress Varsity. We work towards getting the JV Squad 12-14 games and 18-20 game for Varsity. In addition to IHSLA league games, we will be participating in some tournaments for both the JV and Varsity teams. Game schedules will be provided at a later date, but plan on games starting in the latter part of March and running through late May. A mouthpiece, certified lacrosse helmet, athletic cup, shoulder & elbow pads, gloves and lacrosse stick. Soccer or lacrosse cleats are acceptable. No metal spikes. A commitment to the program. We follow all IHSA rules and guidelines and hold the kids accountable for their actions. All students must adhere to the Athletic Code standards and meet or exceed all academic eligibility guidelines in order to participate. We are running this program as a high school sports team, not a club in preparation for IHSA membership. All students (Dunlap and Richwoods) are expected to obtain the Gold Card on their own by working directly with the Dunlap Athletic office. Please complete registration as soon as possible, but at the latest by Wednesday, November 30. We need to know the number of players for our 2017 program. $275 if you are a returning player and do not need a new uniform. Please make checks payable to "Dunlap High School". $325 if you are new to the program (requiring a uniform) or a returning play who needs a new uniform. Players keep their uniforms at the conclusion of the season. Please make checks payable to "Dunlap High School". $100 Activity Fee if you are an out-of-district student (i.e. Richwoods). This fee paid in advance by Dunlap Students and is required for all athletics and certain clubs to reduce the budget deficit. This fee should be added to the base registration fee ($275 or $325) above. Please issue a separate check for $100 payable to "Dunlap High School". Payment is requested at the time of registration, but it is not required to complete online registration. However, please pay in full by December 31.